Sharing the best of summer camp job culture! The summer camps in the area I first worked once had highly coveted positions of Camp Waiters. My old camp employed former campers between their CIT year and high school graduation – when they were eligible to be full cabin staff. Positions were limited and very competitive. The jobs were also hard work. But a strong showing as a waiter was also a guaranteed position as a camp counselor when old enough. Back then, most camps dined family style and the waiters were used to orderly distribute food at meal times. Waiters also maintained the cleanliness of the dining hall and shared time in the dish-room. At most camps waiter positions faded to non-existence probably because of some combination caused by: the popularity of camp buffet style meals & parents (and kids) choosing from the hundreds of teen travel, educational and specialty options over a “character building” summer jobs. Camps could also easily employ over 18 year old International staff via J-1 visas and eliminate the worry of supervising minor aged staff. With plentiful staff available to hire, camps were not necessarily concerned about losing their ex-campers to local day camp jobs. Staffing in general has gotten tougher and now camps are rethinking staffing. With the J-1 Work Travel program still facing uncertainty in Washington and definitely facing stiffer competition from the summer competitor industries (National Parks and Resort areas among the biggest) we think its time to rethink the old camp waiter position and open a new source of domestic support staff. We’ve heard from several camps considering this move particularly for kitchen support staff, facilities and cleaning staff and office support. Make it a REAL job – We know of a few camps who actually use the title of Waiter/Waitress for their gap year/11th grade summer. Most of these camps describe the position on their websites as more of a 1/2 staff, 1/2 camper position. The advice we are getting is make this a real job and treat as regular employees. Make sure anyone applying for these positions – and just as importantly – their parents understand that this is a job. Have a real interview process. Most camps are only considering hiring former CITs so that the employee is already well known and a relationship with the family is established. However, it is very important that the applicant complete your full interview process and understands that this is indeed a job and not a bonus camper year. An added benefit is that your former camper has a chance to safely hone job interview skills as you conduct the interview process. Have a Leadership position designated to supervise this group. You already know the challenges of supervising first time job holders on staff and have deep layers of supervision to account for it. This group will face unique challenges and no only first time job holders but also experience their first time away from home being responsible for themselves. Like all staff, its important that they have the tools and support to be successful. Have a time off plan in place. Most camps have excellent in camp and camp sponsored out of camp activities for staff during time-off, particularly for under 21 year staff as part of the camps staff retention program. Be prepared to offer more age specific options and provide transportation when needed. Have a transition plan for the following summer. The biggest reason to hire this age group is to meet immediate support needs in camp, the very close second best reason is to retain quality camp staff for the following summer. Arrange opportunities to shadow staff at a level not available to CITs. We assume you already do this for work travel visa holders already, particular those with skills you could use in program or the bunks. Like your older staff, make sure they know you want them back next summer and offer contracts before they leave camp. Looking for camp staff? 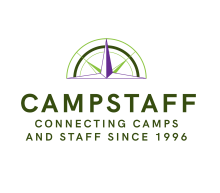 Visit www.campstaff.com and begin searching for staff today. We’ve been connecting camps and staff since 1996; let us help you find the perfect summer staff! Looking for Summer Camp Staff? Camps can join CampStaff.com and search through thousands of staff applications. We’ve been connecting summer camps and summer camp staff since 1996. Let CampStaff help you find the perfect summer camp staff. Looking for nurses? Visit us at CampStaffNurses.com. Looking for a summer camp job? Campstaff.com is a free, single application website connecting staff with thousands of summer camp jobs at hundreds of summer camps across the United States and Canada.